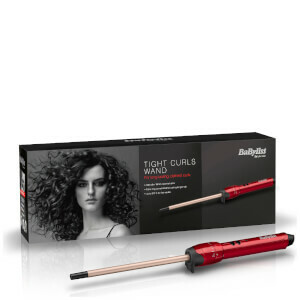 Achieve tight, natural-looking curls with the Electric Head Jog Gold Titanium Pencil Wand, a gold-titanium coated curling wand that creates ringlet-style coils. 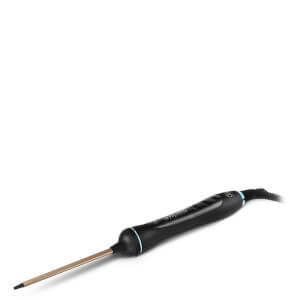 Easy-to-use with its wrap and style function, the curling tongs offer variable temperature settings from 120°C to 230°C, and have high ionic output that ensures heat is directed inside the hair, preserving hair's natural moisture and protecting the external structure from drying out. The slim barrel allows you to create tight curls, and its efficient heat conduction evenly distributes heat through the barrel for consistent results. Hair looks healthy and shiny. Complete with a cool tip and thermal heat glove for safe styling. 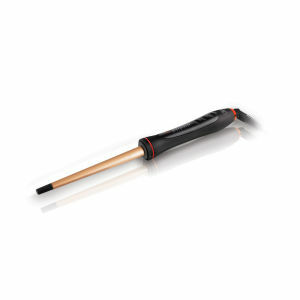 360° swivel 3 metre cord. Rabatten er allerede trukket fra ordinær pris. Gjelder for en begrenset periode.